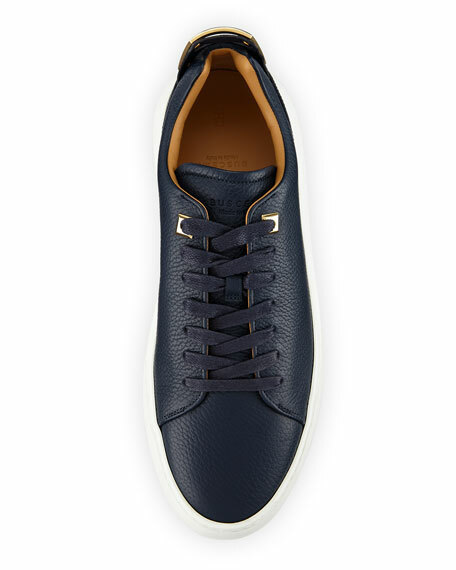 Buscemi men's low-top sneaker in grained calf leather. Golden metal hardware, including top grommets and trapezoidal plate at back collar. 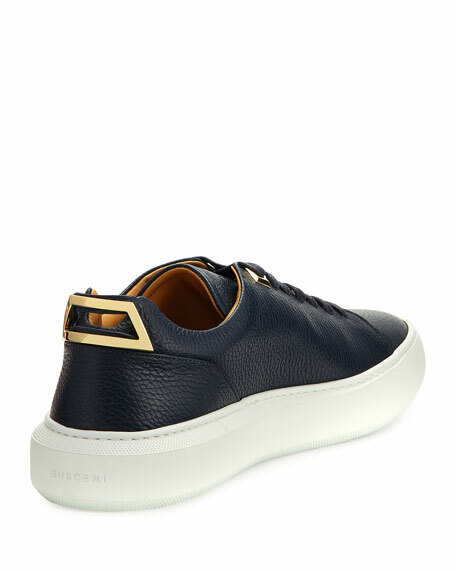 EVA sole custom-designed for Buscemi. For in-store inquiries, use sku #2159092.